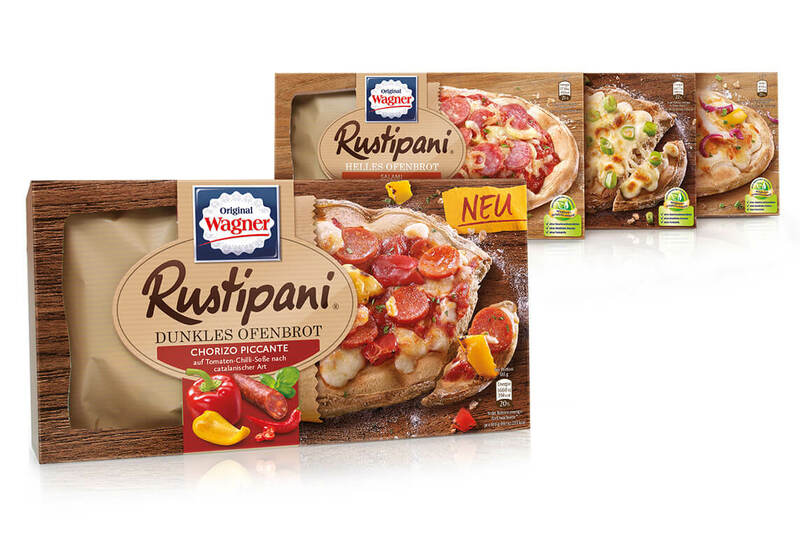 Development of a unique brand and packaging design for a new Nestlé Wagner deep-frozen pizza baguette that has to compete with its main competitor’s product “Dr. Oetker Bistro” on a saturated market. The created folding box tells the significant rustic bakery story of Rustipani on the base of a pizza bread lying on a rustic wooden plate. Through a window on the front side, the inner bag – designed like the bread bag – is presented. The result shows how structural and graphic design are interlocking and a product orientated packaging experience comes into being.